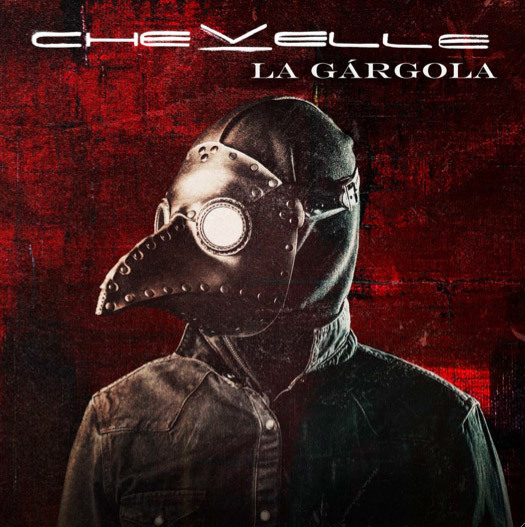 CHEVELLE will release its seventh studio album, titled “La Gargola”, on April 1. The disc was recorded in Pasadena, California instead of the band’s usual spot in their hometown of Chicago, and follows up 2011’s “Hats Off To The Bull”. The “La Gargola” cover, which can be found below, features a dark figure wearing a buttoned up coat and a beak-like mask worn by plague doctors back in the days. The official lyric video for “Take Out The Gunman” can be seen below. The trio will head out on the road for a headlining tour with MIDDLE CLASS RUT and OH BROTHER, beginning on April 4. The group is also scheduled to make appearances at the Rock On The Range and Welcome To Rockville festivals in April and May.